When Tom Cruise kept shouting “show me the money” at Cuba Gooding Jr in Jerry Maguire, he was not talking about the UK television industry in 2014 – but he could have been. The thirst for fabulous TV seems insatiable and is driving deals like Discovery Communications and Liberty Global’s £550m purchase of All3Media and the mooted roll-up of Endemol, Shine Group and Core Media by Fox and Apollo. Further down the content food chain, we are seeing the rise of complicated co-productions, multiple platform opportunities, complex rights issues and mixed-ecology funding. The content holy grail at the moment is long-running drama, shot with cinematic production values and starring feature-film talent. 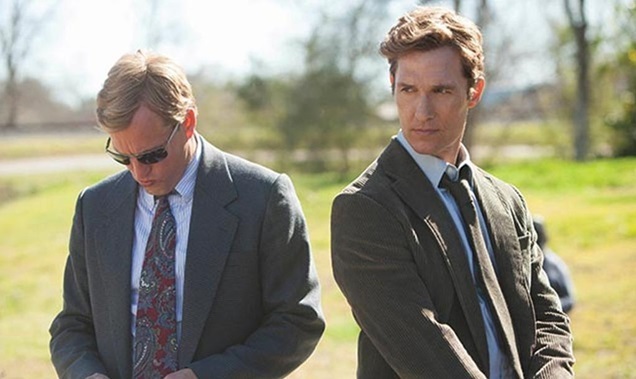 This kind of show is expensive and HBO’s True Detective (pictured), shown on Sky Atlantic in the UK, is one of the best examples. It stars Hollywood A-listers Woody Harrelson and Matthew McConaughey and was created by award-winning novelist and short-story writer Nic Pizzolatto – not a classic TV producer. Its slow, panning shots of Louisiana as the two policemen search for a serial killer (and their souls) could have been directed by Terrence Malick, their pace was so deliberate. A similar formula of big-name talent and a gripping, well-shot story has also raised the profile and subscriber levels of Netflix via its two series of House Of Cards. Funding TV has always been an art, and stitching together the right partners and talent is what makes the best executive producers. But what used to be a canvas of broadcasters, distributors, indies, tax credits and fairly standard deficit-financing now includes a whole new group with their own platforms and content criteria, including Microsoft’s Xbox service and Amazon’s Instant Prime Video. Like the niche cable channels before them, these platforms are interested in catalogues of older shows, but they are increasingly recognising that to be distinctive, they need original content led by major talent. Xbox has commissioned Steven Spielberg to make a live-action TV show based on the popular sci-fi video game Halo, which will debut next year – about the same time the latest version of the game launches. Hulu, one of the biggest subscription and catch-up platforms in the US, co-produced BBC action comedy The Wrong Mans. BBC1’s Ripper Street was dead until Tiger Aspect and Lookout Point contacted Amazon, which agreed to resurrect the series, majority fund it and have the first broadcast window, with the original broadcaster, the BBC, transmitting it second. The other factor is that this kind of novelistic TV series is nuanced, intricate and complex, and plays to our natural instinct to binge watch. Even before this style of viewing had a name, we were doing it – first with videos and then with catch-up viewing on PVRs. Particularly for long-running dramas, the future looks very bright indeed. There are more platforms and services all wanting great content, and there are more imaginative ways of funding it than ever. It just takes a bit more work.